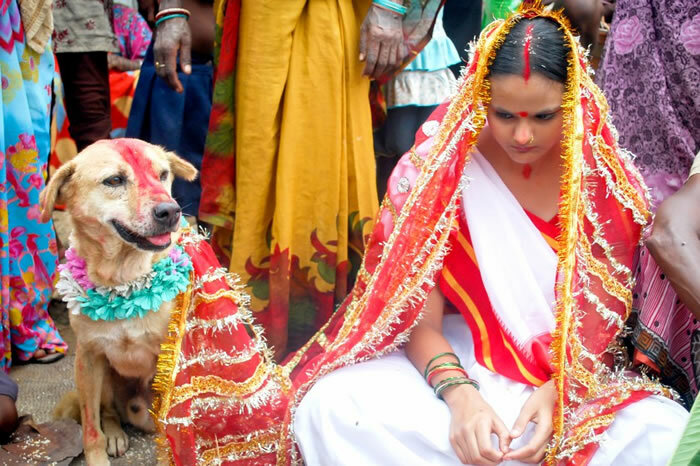 An Indian girl has just married a dog in India after her village elders insisted it was necessary to remove a curse that was effecting the village. 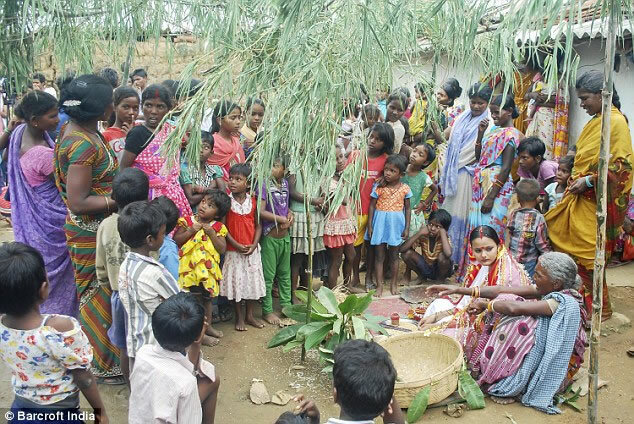 The entire village in the remote Jharkhand state were present to witness the bizarre wedding. 18-year-old Mangli Munda wore a traditional wedding attire and her canine groom was chauffeured to the event. According the village elders, Mangli was plagued with a bad luck curse and it was starting to have a negative impact on the village. They claimed the only way to remove the spell was to marry a dog and pass the curse on to the poor mutt. The father picked out a a stray canine named Sheru and the wedding was arranged. Whether or not the happy couple went on a honeymoon or slept together is unclear but after such a busy day the groom looked dog tired. Watch the video below to see a news report on the event.